Our product range includes a wide range of black rubber mounts, engine mount and rubber mount. These Black Rubber Mounts are specifically design to take care of the vibrations in the compressors. Our grommets are used by most of the reputed manufacturers of compressors in the Indian industry. The material for the grommets is formulated to maximize the dampening effect and increase the life expectancy of the product. 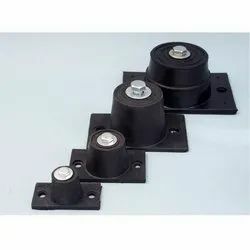 We provide Best quality Engine Foundations Mount for our reputed clients. 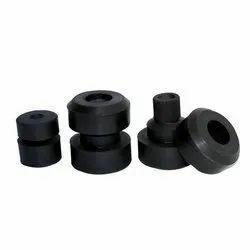 Rubber Mount offered comprise rubber that comes integrally bonded with metal and provides for high compression strength as well as low shear stiffness, thus making these perfectly suited for use as anti vibration mountings. Allowing for easy installation support, these mountings are constructed in different diameters & height options, are weather proof and are recognized for their durability & quality finish.